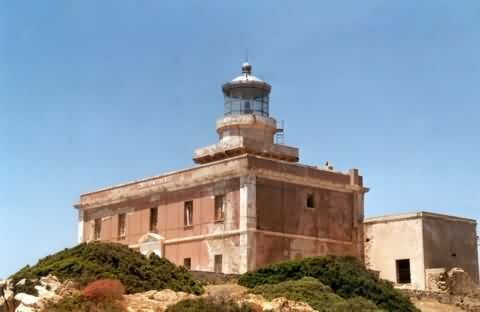 This lighthouse is located on the southern coast of Sardegna near a region called Chia. 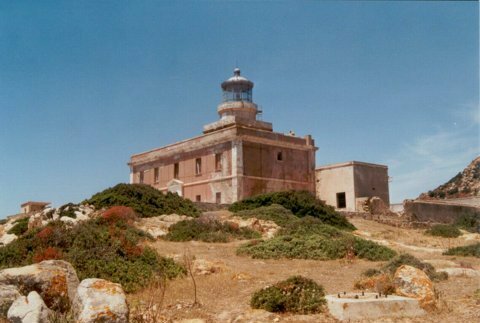 The lighthouse sits high up on a hill looking over the more than 4 km of beaches of Chia. Because the lighthouse sits so high up, its light can be seen by ships more than 11 miles away. From Porto di Cagliari on the southern coast of Sardegna, get onto SS195. Follow Ss195 for appx. 52km until you get to the lighthouse.